Holidays in October bring a whole host of different experiences dependent on where you are planning on visiting. Track wildlife in whats known as the predator capital of Africa or head to ancient cities of Petra for some magical history. October time in Croatia is perfect for people who aren’t tied down with school holidays, the weather is perfect for sunbathing and swimming in the sea and all tourist attractions are fully functioning and open for business without the crowds of the peak seasons. With stunning national parks, beautiful coastlines and historic seaside towns full of vibrant culture and incredible architecture you can understand why Croatia is becoming Europe’s most desirable holiday destination. Starting off in the city of Dubrovnik, a city full of history dating back to Medieval times and it shows with its ancient churches and palaces scattered all over the city. The layout of the city is similar to a maze with hundreds of side streets leading you to each corner of the city all with it’s own history and surrounded by ancient walls which you must be sure to walk along as they offer beautiful sunset views as they were once used to protect what was one of the biggest trading ports in the world. If your a fan of the ever popular Game of Thrones then head to the set of Kings Landing or go on one of the many tours available simply ask one of our team today! Next up is Hvar, known to be a playground for the rich and famous who dock their super yachts in the harbor, it attracts a wide range of visitors from all different places making it a diverse and interesting stopping point. 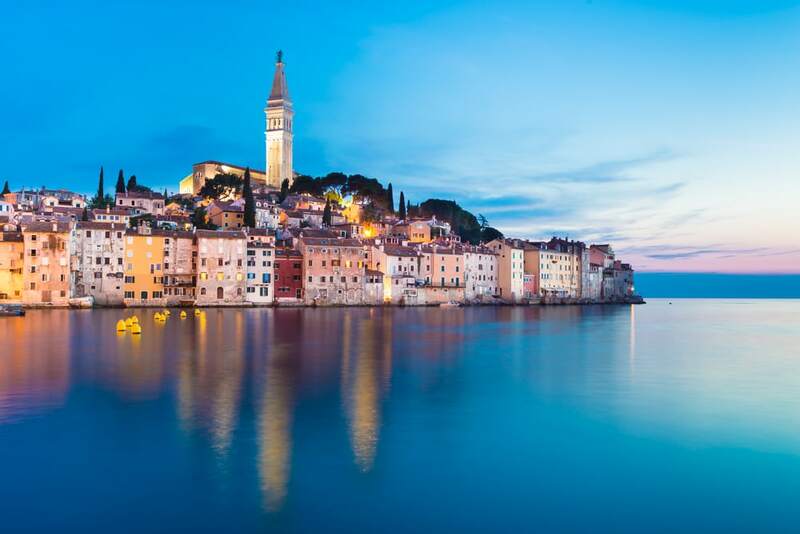 It is also known to be the gateway to the islands of Croatia with most cruises starting their journey through the Adriatic Sea from this beautiful port town. It is also famous for it’s delicious sea food restaurants all ranging in budgets from fine dining to local fisherman’s stalls. Split is the next stop on our journey through Croatia with it successful mix of modern day living and ancient history this ever popular city is becoming a hub of shopping, food,nightlife and culture with a lot of foreign investment going into the city helping it become what it is today. Set sail towards the island of Brac, a more rugged and a real hidden gem this island possesses beautiful sandy beaches all accessible via some pretty exceptional hiking trials. Croatia is also home to a number of stunning national parks full of waterfalls, freshwater lakes and winding rivers. Krka situated in the south is famous for a series of 7 waterfalls all running along side each other to create a quite unforgettable spectacle, it is also very popular among hikers as there are a number of trials and hikes you can partake in which take you around the park. Plitvice Lakes is more central and more known for endless alpine forests and a chain of 16 terraced lakes all leading to a huge waterfall as high as 78 meters. Stunning deserts and history dating back to the beginnning of time Jordan is a very unique place to visit and one to definetly tell your grandchildren about. October is seen to be the ideal month to explore this magnificent country as temperatures are around 20Cs compared to the scorching heat experienced in the summertime. Now when you think of Jordan the first thing that springs to your mind is the legendary lost city of Petra, you may recognize this from the Indiana Jones films however this Wonder of the World is much more than a movie set. Located among a series of rugged caves and canyons in the middle of the desert and once the capital of the trade movement in the Nabataean empire it is understood as to why Petra is held in such high regard in history and throughout the world. 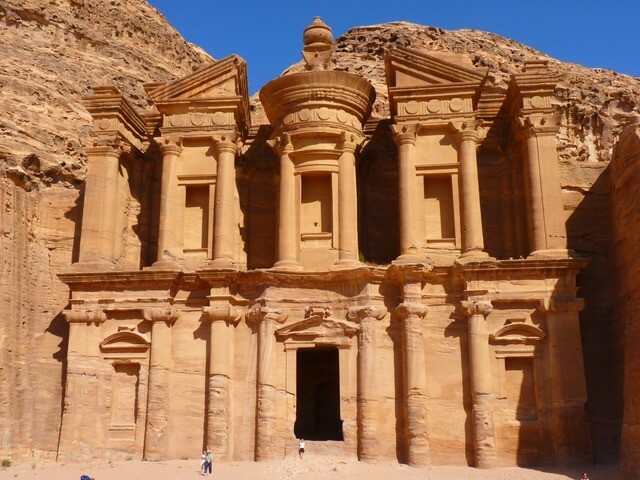 Now when visiting Petra expect it to be hot, this might sound obvious as it sit in the middle of the desert but October has less visitors and the temperature aren’t as harsh making it the perfect time to tick this off your bucket list. Now exploring Petra isn’t the only thing Jordan can offer, it is also home to the world famous ‘Dead Sea’ the lowest piece of land on the planet, going for a dip here is truly a unique experience you can’t have anywhere else. It has an incredibly dense feel to it, this is down to the amount of salt in the water which makes you float to the top of the surface without aid, this is also the reason no living thing can survive in this high quantity of salt water giving it the name of The Dead Sea. Next up is the capital city Anman, a city influenced with both modern aspects and ancient ones alike. Often used as a pit stop on the way to Petra this city is vastly becoming more and more popular among visitors year in year out. With a number of ruins from Roman influences and Middle Eastern history it is a hub of historic landmarks, the Anman Citadel and Roman Theater both are very interesting landmarks and just outside the city the iconic Mount Nebo which when climbed provides incredible views of the Holy Land and the valley of Jordan.